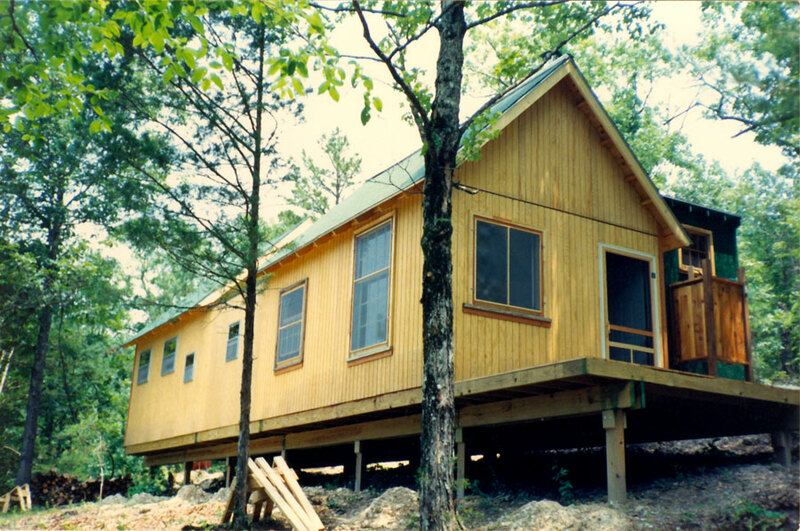 View of the backside of Cabin No.2 facing Bear Hollow. The small, green building on the right side of the photograph houses the water pump, storage tank, and pressure tank. An outdoor shower is attached to the outside of the pump house. 1990, scanned color print, 3 x 5 in. (7.62 x 12.7 cm). Ozark Series. © 2008 by Allen C. Benson.